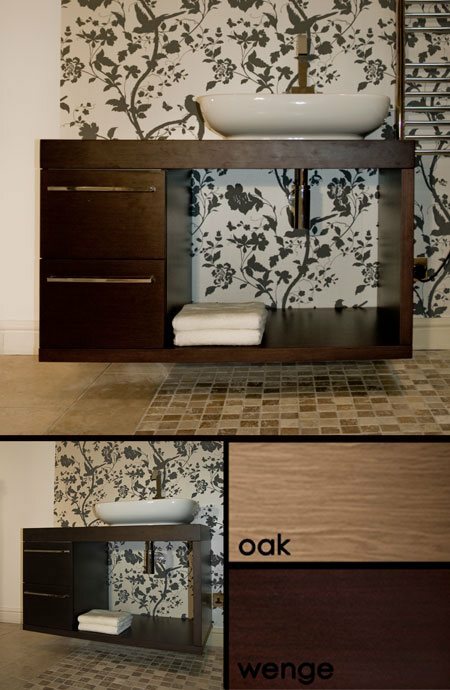 This highly contemporary bathroom washstand is manufactured in the real wood veneers of Wenge (shown) or Oak, which are pre-finished in a hardwearing water repellent sealer. with 2 x 350mm soft closing draws. * Available in Oak or Wenge.